Jean Christopher, 91, of Heber Springs, AR, went to be with the Lord on Friday, April 12, 2019. She was born on January 16, 1928 in Corinth, Mississippi, to the late John H. and Alma Briggs. Mrs. Christopher was a member of the First Baptist Church of Heber Springs, Executive Broker and Co-owner of Christopher Realty, Inc., and most of all, a devoted wife, mother and grandmother. She enjoyed gardening, selling real estate, spending time with her family and friends, and the lake. She was raised in southern traditions of good manners and gracious demeanor. She married Warren Christopher at age 17 and lived in Earle, AR with their three daughters; Victoria, Pam, and Melissa until moving to Heber Springs, AR in 1972. Mr. and Mrs. Christopher were married for 72 years and were life- long sweethearts for 85 years. After moving to Heber Spring, Jean and Warren, known to friends and family as Mama Jean and Daddy Warren, opened Christopher Realty Inc. Jean was a natural at selling real estate; she wanted to make others� dreams come true by finding them their dream property. 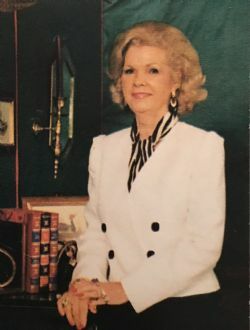 Her dedication and devotion to the real estate industry led her to become a Lifetime Member of the Arkansas Realtors Association Multi-Million Dollar Club for sales and listings in the Heber Springs-Greers Ferry Lake Area and she was the recipient of the first ever Cleburne County Board of Realtors Lifetime Achievement Award. She is preceded in death by her parents; her daughter, Victoria Moreland; and 12 brothers and sisters. Left to cherish her memory are her husband, Warren Christopher of Heber Springs; daughters, Pam Harmon (Walker) of Heber Springs and Melissa Christopher (Laura McCarty) of Little Rock; 4 grandchildren, three great grandchildren, and one great-great granddaughter. A visitation will be held Monday, April 15, 2019 from 5:00-7:00 p.m. at Family Funeral Service in Heber Springs. Funeral services are 10:00 a.m. Tuesday, April 16, 2019 at the Family Funeral Service Chapel with Bro. Marty Sikes officiating. Interment to follow at Cleburne County Memorial Gardens. Services under the direction of Roller-Daniel Funeral Home in Searcy.